It’s just a more advanced way to go. The Tucson’s 7-speed Dual Clutch Transmission always makes the smoothest, most efficient shift at the precise moment it’s needed. 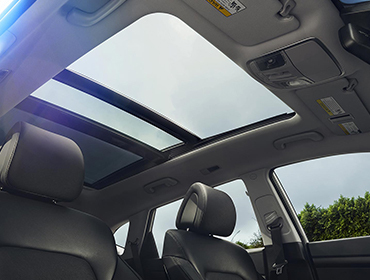 And Tucson is the only vehicle in its class to offer it. 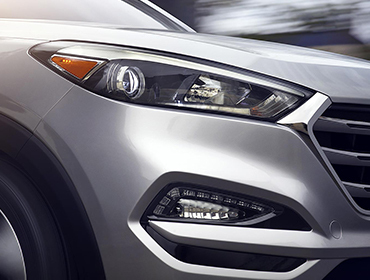 Tucson offers two powerful, yet fuel-efficient, engines. The 2.0L 4-cylinder engine gets things started with 164 hp. The 1.6 Turbo GDI engine steps up the horsepower to 175 and can still deliver up to an EPA-estimated 30 MPG Highway. Available HID headlights with Dynamic Bending Light. Look up and change your perspective. Whatever the weather outside—hot, cold or somewhere in between these seats offer high levels of comfort and control. Your music is going to sound amazing on this top-of-the-line system. Clari-Fi™ Music Restoration Technology restores the clarity often lost during the process of producing digital music. Technology in your car is always better when it’s familiar and personal. Apple CarPlay™ and Android Auto™ put the smartphone apps you prefer right on Tucson’s touchscreen. So you can get your information and entertainment via the interface that’s familiar to you while keeping your eyes on the road and off your phone. Access maps, navigation, contacts, texts, calls, even your music library seamlessly and safely while driving using the car’s touchscreen or voice recognition. Drive with greater awareness of vehicles around you when on the road. This feature monitors and alerts you to vehicles in your blind spot. 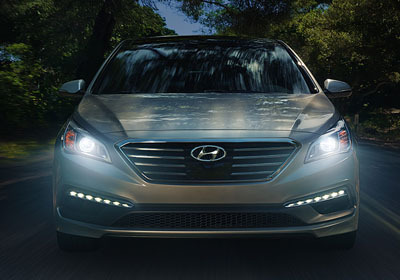 Tucson’s standard rearview camera helps to show your surroundings effortlessly. As you select reverse, the touchscreen will populate with a clear image of what’s happening directly behind. Roads Change. Conditions Change. Here Is The Solution. The available All Wheel Drive gives drivers improved traction and greater cornering capability by automatically transferring engine torque to the rear wheels and applying braking force to the inside rear wheel. For driving off-road and in slippery conditions there’s also a driver-selectable AWD lock which allows for a 50/50 split of available torque between the front and rear wheels. After detecting a slowing or stopped vehicle and/or pedestrian, it warns you of a potential collision. If you don’t change course, it applies emergency braking to avoid impact and help keep everyone out of harm’s way.